So now, intrepid GNOME hackers that happen to be competent in C++ can play with web related ideas without having to fiddle with GObject macro soup and code boilerplate. Yet they’ll be able to enjoy system level code performance and compacity. Another point to note as well is that this leaves a chance to play with the DOM “natively”, i.e, without having to wrap the webkit DOM api into GObjects. 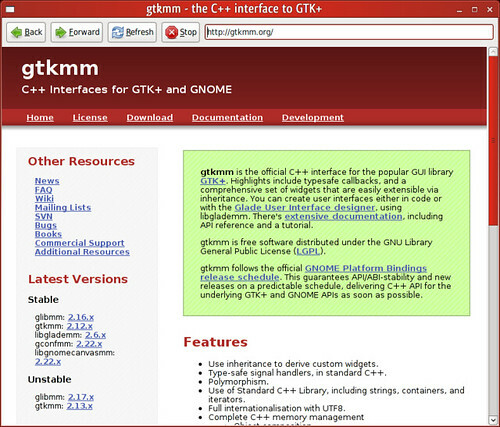 Gtkmm apps can directly access the DOM by virtue of being C++ apps. Oh god, I’ve just realised that I had forgotten about the monstrosity that is CSS-themed scrollbars in the outer UI. Those are not CSS-themed scrollbars. That’s my GTK+ theme.